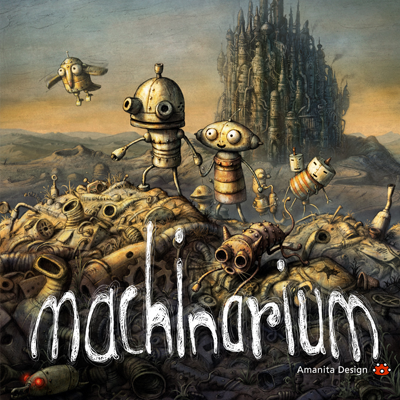 Written, composed, mixed and produced by Tomáš Dvořák for Machinarium adventure game by Amanita Design. Voice on "Nanorobot Tune" by Veronika Vlková. Graphic art by Adolf Lachman. Cover design by Daniel Dudarec. First edition is signed by the author himself. and features a coupon with a code to download MP3/FLAC versions of the album. 30x30 cm full colored inlay and features a coupon with a code to download FLAC version of the album.